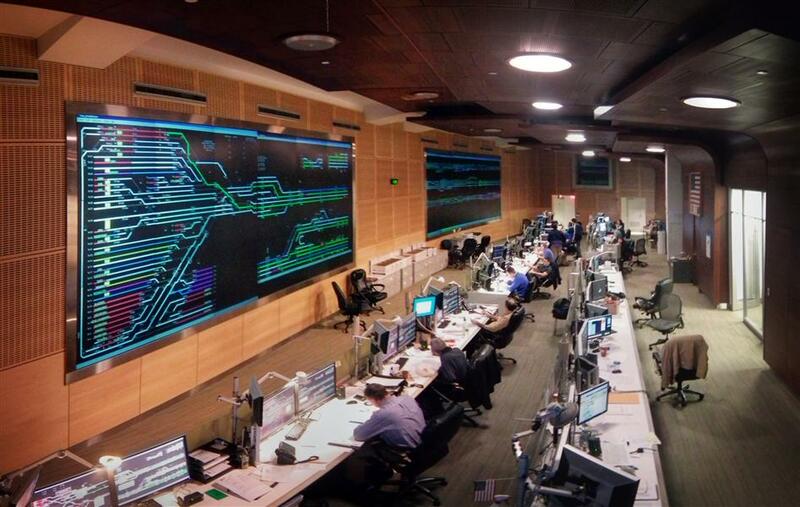 Just yesterday I was reading an article about SEPTA’s “nerve center” – although cool, I must admit that Metro-North’s Operations Control Center is far nicer – at least in my opinion. Though the SEPTA article states that “nothing like [this control center] exists in New York, Chicago, Boston, Washington, DC, or any other American city.” – it is really an argument of semantics – as the author makes the point that SEPTA’s control room monitors trolleys, trains and buses, and clearly Metro-North’s watches over just trains. But while their center is operated by a crew of three, Metro-North’s is staffed by many more. 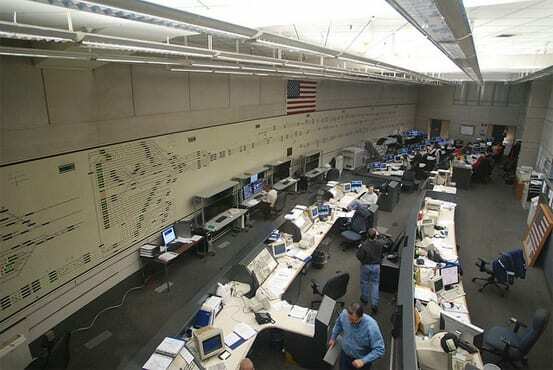 The control boards at the front and center of the room, however, are quite similar in both – and reading that article reminded me that not only have I not mentioned my visit to Metro-North’s Operations Control Center, I haven’t posted any photos of it either! 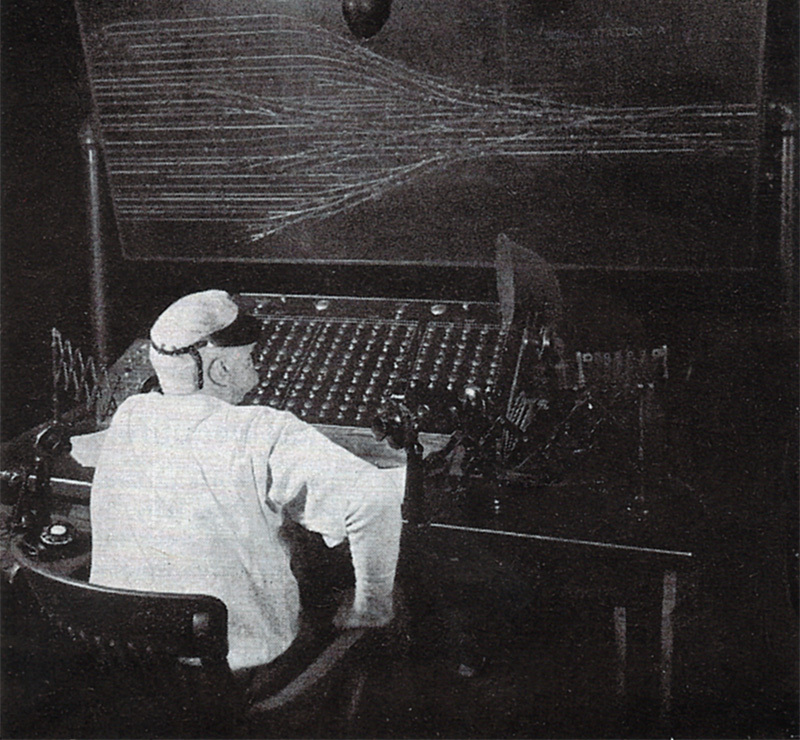 Back in the day, this stuff was considered state-of-the-art, and these were the people that watched over the railroad. Today, things are a bit more modern, and consolidated in a central location (no more towers – everything is controlled by the folks in the OCC). For the record (and to my inevitable haters), the OCC is hardly a secret, especially when Metro-North themselves have posted photos of it online. 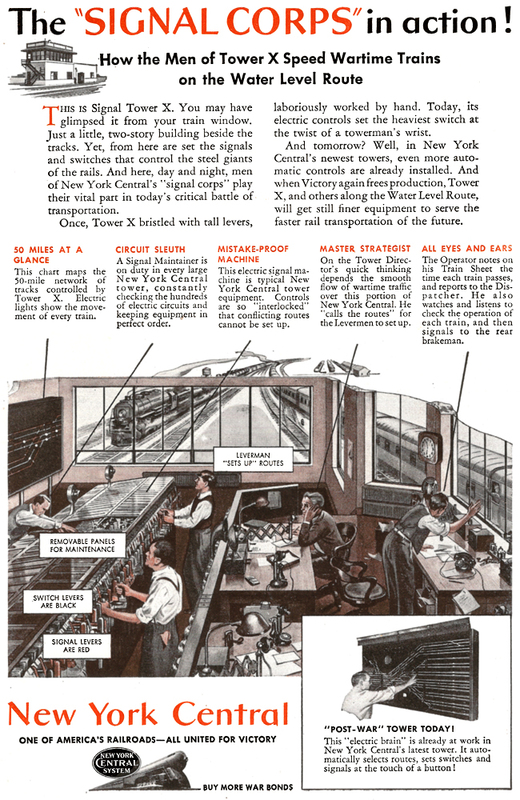 And while I could say that I will not divulge the location of the OCC for security purposes, the New York Post has already spilled the beans that it is hidden in the upper floors of Grand Central Terminal. For additional security, I won’t even tell you how to decipher the large display boards – except for the fact that it, too has already been written about. 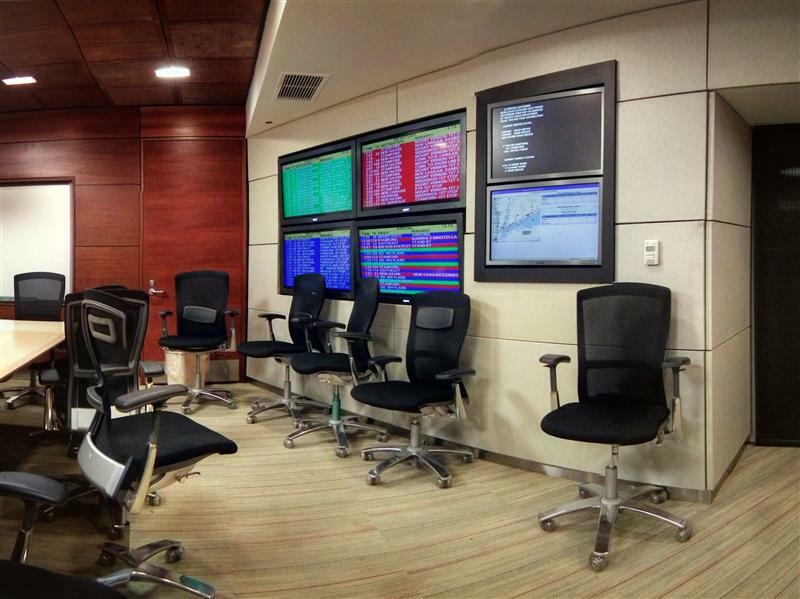 And even WNYC has featured video on their website of the OCC… so I am hardly the first to offer a glimpse at the control center (or at least a realistic look at the OCC). View of the old control center by user Triborough on Flickr. The current OCC is relatively new, and you may recall Metro-North mentioning the updates back in 2010. If you compare the above photos with the new Operations Control Center, there is quite a big difference. The new facility is undeniably attractive, and far less antiquated looking than the previous. 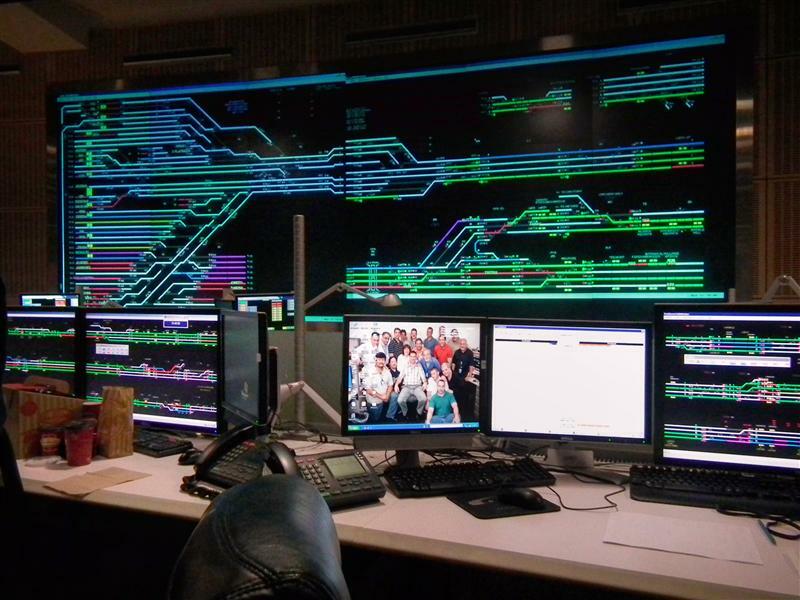 Working out of the OCC are Metro-North’s Rail Traffic Controllers (or as they are more commonly known, RTC’s) – probably one of the most hectic (and thankless) jobs on the railroad. Besides monitoring where every Metro-North train is, and directing those trains when necessary, it is also their job to solve various issues that trains may encounter en route – like calling for police. I must take a moment here to thank Metro-North’s RTC’s for the work that they do – and especially for being quick with a call to police when there was a guy publicly masturbating on my train one evening (I wish I was kidding). 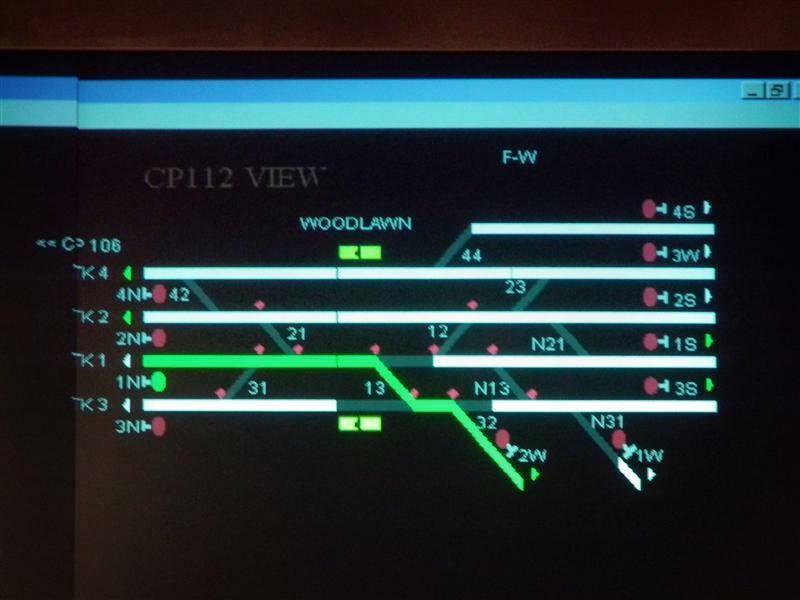 Metro-North’s system is divided up into various districts, each of which is monitored by a Rail Traffic Controller. The Harlem Line, for example, is split into Districts A (lower Harlem) and B (upper Harlem). The RTC watches over all trains in their district, which could be a hundred or more trains in an 8-hour shift. This includes Metro-North, Amtrak, or any other trains operating in that area, in revenue service or otherwise. All work on the tracks needs permission from the RTC, as to prevent any accidents from happening. While conductors are clearly the public face of Metro-North, a Rail Traffic Controller is generally someone you don’t see, but it is their job to keep you safe – passengers and employees alike. 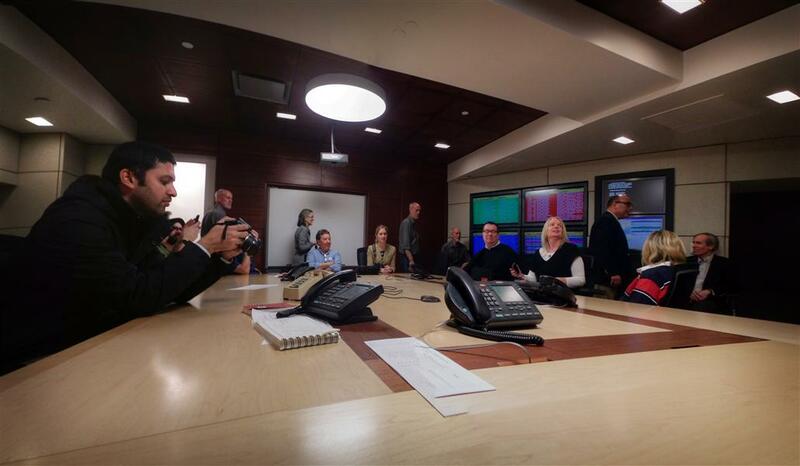 Overlooking the OCC is Metro-North’s “Situation Room” – the place where all the important people would assemble during a major incident or emergency (some of our previous major snowstorms, and even Irene, warrant use of this room). 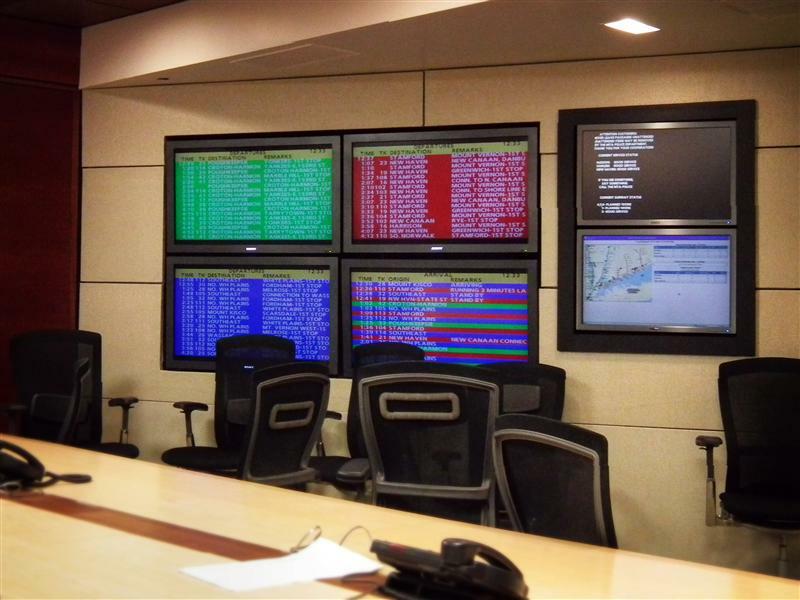 Not only can you watch over the RTC’s in the control center through a handy window, the room is equipped with several televisions that show the departures on all three lines, train arrivals, and even a realtime map of train locations. I love how in that Facebook link they actually *liked* you and said you were funny and talented. Boy have times changed, eh? How did you even manage to get a tour? I know, right? That was Joe Antonacci, wonderful guy, he was the very first MetroNorthTweet. He is more well-known as the guy that does Mileposts though (and any of the witty things you’ll occasionally see on their Twitter and Facebook). I ended up getting on a tour after the article about me in the NYTimes. I was actually supposed to meet Howard Permut that day, too, but that never happened, and I doubt it ever will. Nat-Geo DVD about GCT done in 2005. I’m not gonna lie, what I’ve shown here isn’t even the best part. Along the back wall of the OCC there is a door that opens into a dank closet space. After climbing up a few terribly dirty ladders with insanely low ceilings, you find yourself behind the big panel of Tiffany glass on the main facade on 42nd street. The number six is a window that you can open and look out… while all the tourists below assumedly wonder wtf is going on. Just to clarify on the Septa center, the 3-person desk just monitors 1 subway line. They’ve got an average of about 60 people on the floor on an average shift. While Philly’s transit system is a lot smaller than the MTA, they run and monitor subway, el, regional rail, light rail, bus, trolley and paratransit from one very large room. Transit police are also up there. They’re the only transit agency in the US that doesn’t split off at least 1 of those parts into another building or center. Not pictured is their “situation room,” but when there is an issue, it helps to have all divisions represented and within arms reach. Anybody with a working knowledge of a model board (there are several good simulators available for home computers) can figure out what those track diagrams show. I was able to tour these facilities, including that marvelous passageway between the inner and outer windows of the great hall, during the O Scale convention in 2001. We also got to visit the emergency power room somewhere below ground, with the steps down to Lex Luthor’s lair. One of the O Scalers works for Metro North, and we had Mr Brucker and the Road Foreman of Engines for the New Haven lines as guides. Even got into the cab of one of the new dual-mode locomotives before the tour adjourned. Perhaps a pizza party or a round of drinks changed hands prior to, or after, our visit. On the other hand, Metro North sometimes contribute to mysteries that aren’t. A Pennsylvania Railroad baggage car converted to a tool car becomes President Roosevelt’s armored train, for instance. Yeah, that is a fantasy of Mr. Brucker’s. He’s a showman, through and through. When I did my tour, we all brought five bucks and bought a few pizzas from Two Boots. Brought them down to the basement workers in M42, I suppose as a bribe to the one guy that came up and operated the freight elevator for us. What I find interesting is that when Metro-North took over in 1983, almost all of the outlying signal towers were still in service, some with their mechanical lever systems to operate interlockings. Most were closed through the 1980s as they centralized everything in one dispatching center, but I got to tour SS75, the tower that controlled New Haven Terminal, shortly before it closed. It was the last remaining outlying tower on Metro-North, and quite possibly, one of the last active towers in New England.